Finals takeaways: Can Pittsburgh repeat? Are aging Sharks in danger of missing the playoffs? So, after two months, 27 games and a few too many connecting cross-country flights, our Stanley Cup run is done. What did we learn during the playoffs? What images will we take with us? What questions do we have moving forward? A family affair for Crosby: One of the special moments of the Stanley Cup finals -- and specifically the Cup celebration -- is that the NHL does a nice job of allowing family and friends to share in the rare achievement. Sometimes that celebration is as much relief as anything. Such was the case for the parents of Pittsburgh Penguins captain and playoffs MVP Sidney Crosby. Crosby's father, Troy, admitted to a couple of reporters that he wasn't sure this would happen a second time for his talented son. What's next for Fleury? It must have been awkward for Marc-Andre Fleury as he celebrated his second Stanley Cup -- this time watching from the bench as the backup to stellar rookie netminder Matt Murray. Fleury suffered a concussion in late March and never regained the No. 1 job. He appeared in just two games during the playoffs, starting one and taking the loss in Game 5 of the conference finals. Fleury was having a terrific regular season when he was injured and there's no doubt the 31-year-old still has game. But with a possible expansion draft coming and Murray's tremendous upside, it's hard not to see this as the beginning of the end for the No. 1 overall draft pick in Pittsburgh. Wouldn't Fleury look good in net for the Dallas Stars or Calgary Flames? Goaltending is a key factor separating both teams from being legitimate contenders. I'm positive Fleury is going to play meaningful hockey somewhere. It just might not be in Pittsburgh for much longer. Can anyone keep up with Jones?I still can't get over how good San Jose Sharks goalieMartin Jones was in the finals. So, if Carey Price isn't able to go for Team Canada at the World Cup of Hockey, shouldn't general manager Doug Armstrong's first call be to Jones? And if you're Braden Holtby orCorey Crawford,aren't you a bit nervous that maybe Jones could be pushing for significant playing time in the tournament, as opposed to just being along for the ride as the third netminder? Just saying. History repeats itself:In 2009, Crosby's Penguins beat theWashington Capitals-- who finished ahead of Pittsburgh in the regular-season standings -- in a compelling second-round series en route to a Stanley Cup. This year, the same scenario played out -- except it only took six games for the Penguins to move on. The Capitals have to be looking at the Pittsburgh blueprint and wondering what they have to do to take that one monumental step forward. Given the way the Penguins handled all comers this spring, thanks to a defensive corps that could get to and move pucks quickly and crisply, look for lots of teams to try to emulate them -- including the Caps, who are one of the few teams to possess an offensive arsenal equal to the Penguins' forward group. In playoff jeopardy next season: Of the teams that played this spring, which ones could miss the playoffs next year? TheNew York Rangers, for one. It's transition time for the boys in blue, and not necessarily in a positive way. And possibly San Jose. The Western Conference is so tough, and so many teams will be coming for the Sharks, includingthe Stars --if they get their goaltending fixed -- and Flames. The Anaheim Ducks are close and the Minnesota Wild will be better under Bruce Boudreau. And while I have noted my affection for Jones, questions about the futures of Sharks forwardsJoe Thornton and Patrick Marleau-- as well as the efficiency and depth along the San Jose blue line, which was exposed by the Penguins -- will make for a tough road back to the playoffs, let alone a repeat of this year's deep run. Most disappointing playoff team: Selfishly, because I'd picked them to go to the Eastern Conference finals, I'd say theFlorida Panthers. The Cats deserved better than the first-round loss they suffered against the New York Islanders and it will be interesting, after significant changes in management and scouting, whether the Atlantic Division champs can take a step forward or if they become like Dallas, Calgary and theColorado Avalancheand have to take a momentary step back to keep evolving. Here's to the unsung heroes: Pittsburgh GM Jim Rutherford deserves every single bit of credit he is getting for building the Stanley Cup champs. But after running into some of the scouts and player development staff on the ice after Game 6 in San Jose, I want to acknowledge that Murray,Conor Sheary, Bryan Rust,Brian Dumoulin andTom Kuhnhacklhad to be found and nurtured. Likewise, the scouting that went into addingCarl Hagelin and Justin Schultz-- who weren't in positive situations in Anaheim and Edmonton, respectively -- illustrates that there are many, often hidden layers to building a team that holds the Cup. Here's to those guys. Speaking of which, I wonder when we'll start to hear Bill Guerin's name mentioned for potential full-time GM roles. In several seasons as a top executive with the Penguins, he has watched his team rebound from organizational setbacks to build a champion. The same question could be asked about assistant GM Jason Botterill. How likely is a repeat? Can the Penguins win it again next season? Everyone wants to talk about repeats -- in large part because they rarely happen. There are too many unknowns from draft to free agency to give even an educated guess, other than to say this: History says no and that is an absolute fact. One element in the Penguins' favor, though? The blend of youth, experience, top-end talent and world-class coaching isn't going to change in Pittsburgh. Pavelski's struggles: Time will tell whether San Jose captain Joe Pavelski was playing hurt in the finals, but -- fair or not -- he will be a focal point when it comes to determining what went wrong for a team that many experts predicted would be too much for the Penguins. Pavelski entered the finals with 13 goals in the playoffs, including four game winners, and was the front-runner to be playoff MVP. But he tallied just one goal -- an empty-netter -- in the finals and had just four shots in the first three games and none in a disappointing effort in the deciding game Sunday. One has to imagine this serves as a hard but useful lesson for the underappreciated Pavelski. Like Steven Stamkos,who struggled at times a year ago during theTampa Bay Lightning's run to the Stanley Cup finals, Pavelski will undoubtedly learn from this colossal disappointment and his own role in it. For what it's worth, I'd name him captain of Team USA in next fall's World Cu. 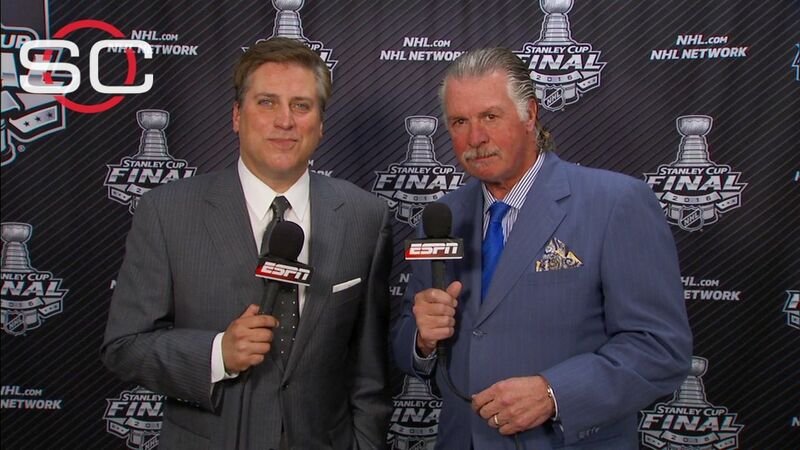 Steve Levy and Barry Melrose break down how the Penguins were able to capture the Stanley Cup. 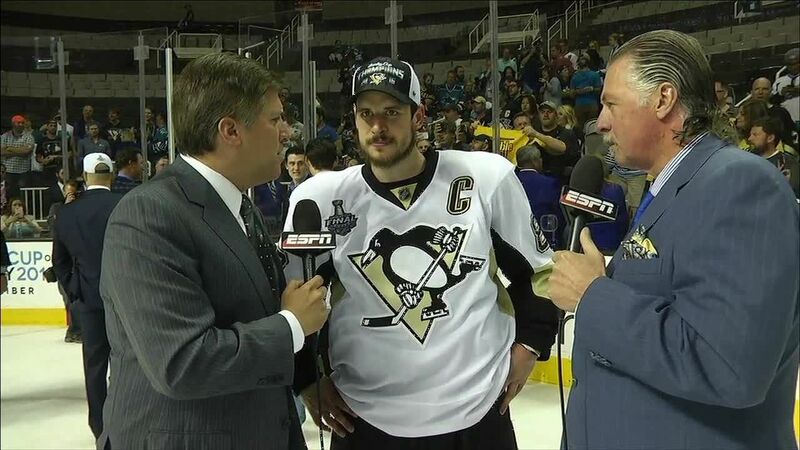 Penguins captain Sidney Crosby joins Steve Levy and Barry Melrose to break down his team's victory in the Stanley Cup finals.